Information on three new robberies was released by the city today. CWB original reports are linked, if available. 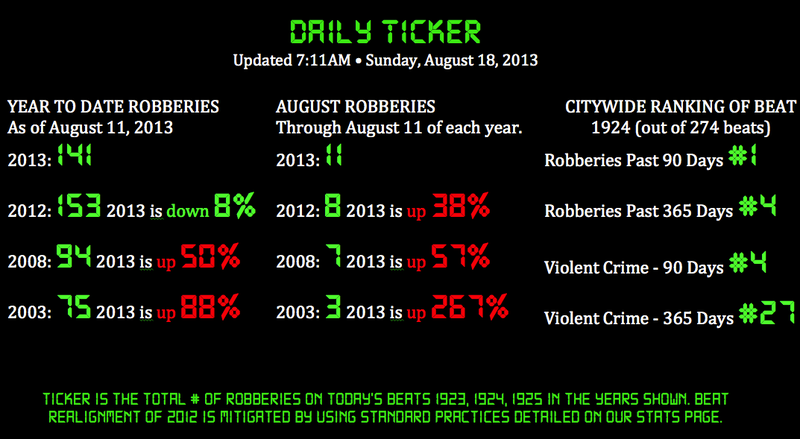 Wrigleyville and Boystown's police beat #1924 remains solidly in first place for the number of robberies over the past 90 days. 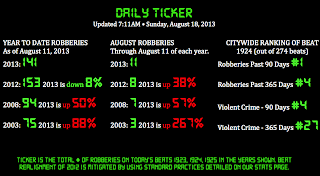 1924 has had 46 robberies during that time, a solid 10 robbery lead over second place. Our source is the city itself, with robbery data taken from the City of Chicago Data Portal. The city quarantines crime data for at least 7 days, so "year to date" information is actually for the year ending one week before the Tracker date.